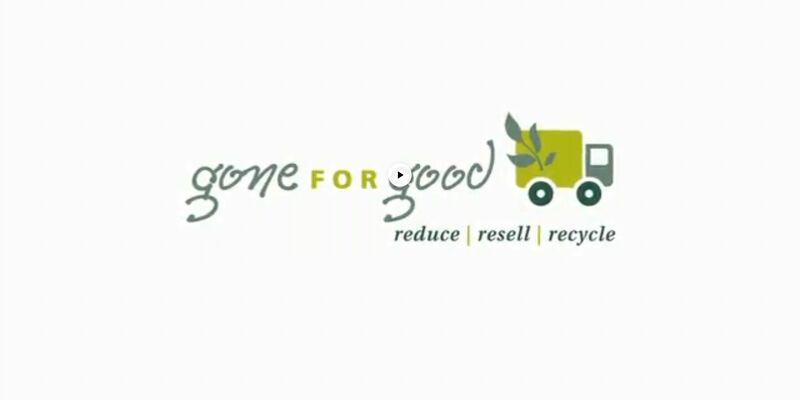 As a full service eco-friendly hauler, Gone For Good’s reliable and efficient service allows you to reduce your clutter and reduce your carbon footprint at the same time. Our flexible scheduling process makes it easy to find a time for us to come to your house. We haul off everything you’re ready to get rid of, resell items, give them to charity, or recycle them. The result? As little of your junk as possible gets thrown into a landfill. You can get it gone, feel good, and get on with your life. In addition to a junk and furniture removal service, Gone For Good also operates a thrift store and a junk drop off site in Denver, CO for your convenience. Do you have junk or furniture sitting inside of your home, garage, or shed that you don’t need anymore? Gone For Good can provide you with junk and furniture removal service in Denver, CO and help you claim your space again. We can schedule a time that works best for you to have one our professional and courteous team members come to your home and remove anything you no longer need or want. We will then recycle it, resell it or give it away to charity, so you won’t have to worry about it ending up in a landfill and doing damage to the environment. If you have junk or furniture that you want to get rid of as quickly as possible, Gone For Good offers a junk drop off site in Denver, CO that will take your unwanted items when you bring them to us. Rather than simply discarding your “junk,” we will find a way to put it to good use. In some cases, that might mean selling it in our thrift store. In others, it might mean donating the items to charity. If neither of those are options, we will always find a way to recycle. Regardless of how we handle your junk, it will not go to waste, and best of all, it will no long be a burden on you and your valuable space. One man’s trash is, as they say, another’s treasure. That’s why Gone For Good runs a thrift store in Denver, CO that provides people with the opportunity to purchase items that others didn’t need, at very affordable prices. Whether you want furniture, household items, or other odds and ends, Gone For Good likely has it at a deep discount. Plus when you visit our thrift shop, you know that you will also be doing your part to keep reusable items out of landfills. Cleaning out a home after a friend or family member passes away can be extremely difficult. Instead of trying to tackle the job on your own, let Gone For Good help. We specialize in junk and furniture removal services that are eco-friendly, and we are always willing to take care of estate clean outs. We will go through everything, remove it, and make sure that it doesn’t get irresponsibly discarded. In moments of grief, it will be nice to know that each item carried out by our team will be put to good use, and may just find another home with a deserving family. If you feel as though you can benefit from any of the services offered by Gone For Good, we would love to hear from you! Give us a call at 303-736-2387 today to get started.